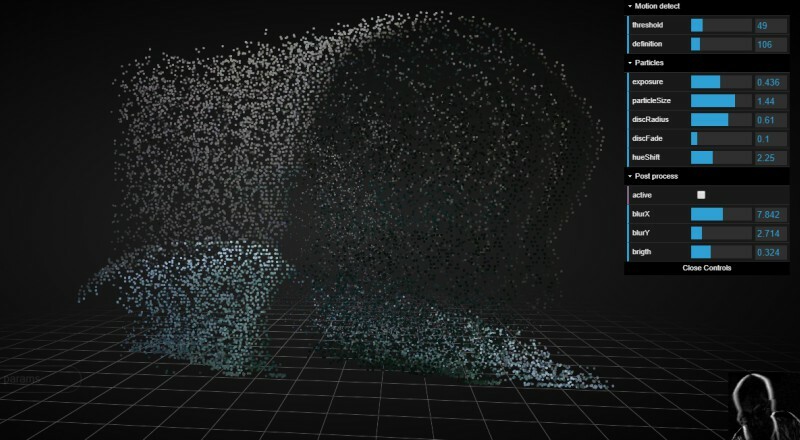 Flow Field is a particle effects simulation experiment made with Vanilla WebGL 2. Using your device’s camera, it will trace the contours of your face or hand. Once the Image Capture API collects the data, it’ll project the image as particles. You can also play with the experiment’s parameters. Adjust the threshold and definition if you want a clearer image. If you want to change the particles’ behavior, adjust the exposure, size, and disc radius. The projected image can be viewed in 3D. Check out this experiment here.